Imagine having 1.3 billion dollars to fund education and transportation needs in Massachusetts, including higher education. 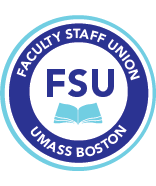 The Faculty Staff Union through the Massachusetts Teachers Association is working with a coalition of community groups across our state for a new amendment to the state constitution to raise these funds. This Fair Share Amendment would change the current flat state income tax of 5.15% by taxing those who earn more than $1 million an extra 4%. This amendment would specify that the additional revenue be spent on public education, including public higher education, public transportation, and transportation infrastructure and would raise $1.3-$1.4 billion per year. Massachusetts is one of the most economically unequal states in the country, and the gap between the top 1% and everyone else is quickly growing. Since the late 1970s, the incomes of the top 1% have grown ten times faster than those of the bottom 90%. Yet, Massachusetts is also one of only eight states where residents pay state taxes at the same rate, regardless of how much they make. With the Fair Share Amendment, Massachusetts would join a growing group of states with millionaire taxes, which includes New Jersey, California, New York, Connecticut, Maryland, Hawaii, Wisconsin, Oregon, and Minnesota. The new 9% tax rate would be one of the highest in the nation, but still behind California, which taxes at over 13%. Should we be worried that a relatively high tax on millionaires will send high earners packing for greener pastures in other states? In fact, a widely validated analysis of millionaires in states that have millionaire taxes has shown that such fears are not substantiated, and the number of millionaires in these states actually continues to grow. Because the wealthy in Massachusetts pay less in property and sales taxes, they actually pay only 6.4% of their income in taxes, compared to 9.4% for the bottom 99% of state residents. Even with the Fair Share amendment, the wealthy would still pay a smaller total share of their income in taxes than everyone else. At a time of record-high inequality, when ordinary Massachusetts families are struggling to survive and public amenities face dire cuts, pushing for the Fair Share Amendment is a commonsense move. While progressive taxation schemes have failed to pass in the state in the past, most voters approve of these if these taxes target millionaires and the funds are earmarked for public education and transportation. A recent (non-representative) Boston Globe poll places the support for the amendment at 75 percent. For more information on the Fair Share campaign, including how you can get involved, visit http://www.raiseupma.org or contact the FSU.